On the morning of May 7, 2013, Patrice Désilets sensed something was different. Like any other Tuesday, the former Assassin's Creed steward was walking his daughter, Alice, to school before heading to the office to work on his new action/adventure game, 1666: Amsterdam. The unseasonably dry weather had left Montreal under extreme fire threat, with brush fires tearing through parts of the province and city. Désilets was no stranger to fire hazards, having survived a metaphorical one when his former publisher THQ went up in flames the previous January. Ubisoft came to the rescue, purchasing Désilets' project and the studio housing his development team for $2.5 million in the bankruptcy auction. Many questioned if this new relationship would work, considering Désilets left Ubisoft three years prior after successfully rebooting the Prince of Persia franchise with Sands of Time and directing the creative vision of Assassin's Creed, the billion-dollar juggernaut that now serves as the crown jewel to the publisher's game lineup. 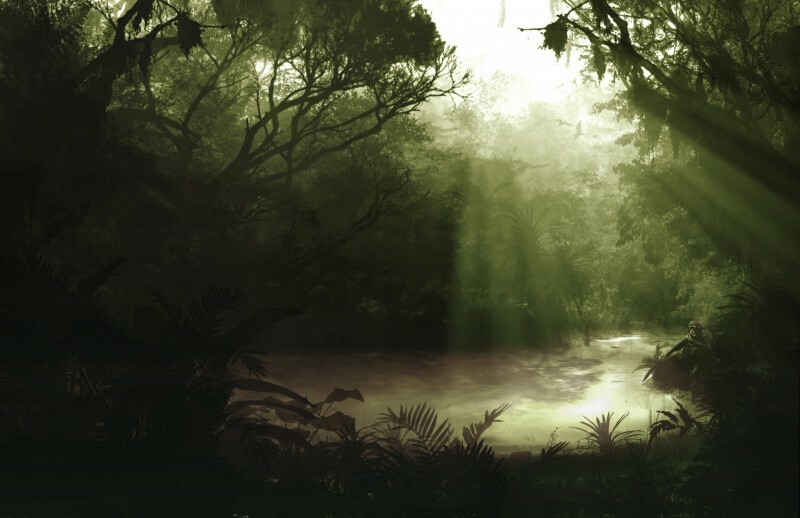 Since the acquisition, Désilets had continued to chip away at his new project, which he envisioned as the next evolutionary step in the action/adventure genre. Immediately after walking into his office, Désilets was summoned to the seventh floor – the home of the suits and ties that handle the studio's business affairs. Dropping his bag by his desk, he hopped on the elevator. When the door opened, he was greeted by Ubisoft Montreal CEO Yannis Mallat and Cédric Orvoine, who had recently been promoted to vice president of HR and communication at the studio. Seeing the pair there was not uncommon – they typically visited the office every couple weeks to oversee the administrative transition. The meeting was short. Orvoine handed Désilets a piece of paper with one concise paragraph informing him that as of that moment he was terminated for cause due to his failure to deliver an acceptable prototype of 1666, which was in violation of his contract. Désilets asked if he could speak to his team and gather his things. His request was denied. As he was being escorted out of the building by "two burly and intimidating" Ubisoft employees, he said, "I'm being escorted out of the building like a thief, and I'm not the thief here. Somebody is stealing, and it's not me." Désilets was left standing on the sidewalk empty-handed – his project up in smoke like the brush burning throughout the city. His studio, wallet, and keys to his apartment – all behind lock and key. After briefly saying goodbyes with former co-workers who came down to find out what happened, he headed directly to his lawyer to prep for the fight of his life. 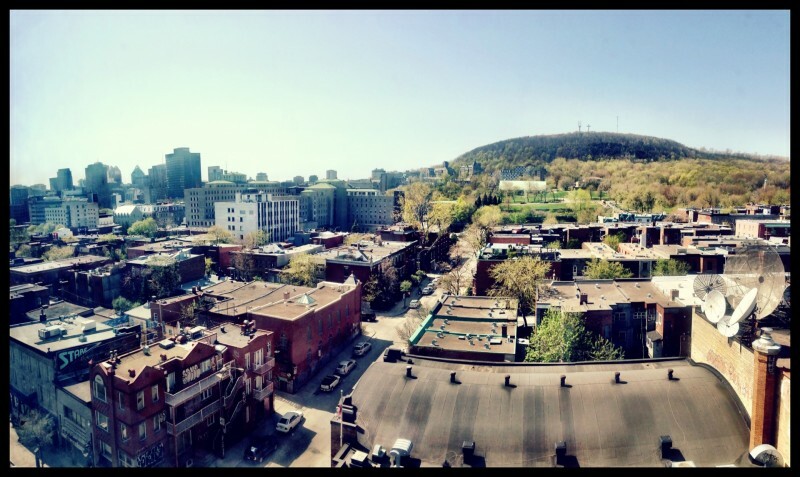 A view from Panache Digital's new Montreal office. It's a snowy day in March 2015 - nearly two years since Désilets was unceremoniously relieved of his duties at Ubisoft – but these are the waning days of winter. The Montreal Canadiens hockey team is surging into the playoffs as one of the top teams in the league, and excitement is in the air. I'm sitting at a sports bar on The Main with Désilets and his longtime friend and collaborator Jean-François Boivin, who was also dismissed by Ubisoft on that fateful day. Like most Montreal residents, they are die-hard fans of Les Habitants, sharing season tickets for the most decorated franchise in the NHL and always quick to offer a diagnosis of the team's strengths and weaknesses. Hockey is one of many shared passions that led to Patrice and me crossing the barrier between journalist and developer. Over many years of attending conferences, we started moving in the same social circles, and eventually developed a friendship beyond the professional status quo, sharing stories of our upbringings and meeting each other's families. But as our paths crossed over the past six years, he remained tight-lipped about 1666, assuring me we would speak when it was ready. After the Ubisoft acquisition and subsequent fallout, he maintained his professional distance, telling me once again we would speak when he's ready. This is the reason we're sitting across from one another in Montreal. Just as the Canadiens are prepping for their second season – a Stanley Cup playoffs run that was eventually derailed by the Tampa Bay Lightning – Désilets is eager to jumpstart his second attempt at life after Ubisoft. Though his quarrel with the French company is far from over – he's currently suing for more than $300,000 and the rights to his unfinished game in a case that could drag on for years - he's not waiting for the court decision to dictate his future. With most triple-A projects taking between two and five years to complete, creators only have so many games in them before their professional careers come to a close. Whereas novelists or musicians can output a steady stream of work during prolific artistic runs – The Beatles released 12 albums during a seven-year period – the technical demands of game development don't offer the bright minds of interactive entertainment that luxury. Six years removed from shipping his last major game, the widely acclaimed Assassin's Creed II, Désilets lost a critical project in the midst of his creative peak. Starting from scratch once again, he understands the importance of his next move. His legacy is on the line, which is why he eschewed signing on with another publisher and instead started a new independent studio. With the creation of Panache Digital Games, the fate of Désilets, Boivin, and the rest of the team is in their own hands. The goal of their new project may sound familiar to Assassin's Creed and Prince of Persia fans. "In 2004, I was given a mandate by Ubisoft: Go out and redefine the action/adventure genre for the next generation of platforms," Désilets says. "That's the only thing I want to do now." This is the seed Panache is planting in its first project, Ancestors: The Humankind Odyssey, but don't expect an Assassin's Creed clone. To create a game of that scale, Ubisoft employs hundreds of developers. Given the realities of going independent, Panache Digital's approach for reaching this lofty bar is changing drastically. Désilets wants to keep Panache agiler, necessitating a shift in design philosophy from delivering a 30-hour game out of the box to offering a smaller, episodic experience that still looks and feels like a blockbuster title. To do so, the team must draw on its wealth of expertise developing big games while learning to navigate the dangers of going alone. Patrice Désilets served as the creative director for the first two Assassin's Creed games before branching off. In many ways, Désilets is a child of Ubisoft. As one of the first wave of hires when the French publisher opened up the Montreal studio in 1997, his meteoric rise mimicked the impres sive transition the whole studio made from small projects to industry-defining works. After serving as a design lead on the low-profile games Hype: The Time Quest and Donald Duck: Goin' Quackers, he was eventually promoted to creative director of Prince of Persia: Sands of Time. Working alongside original creator Jordan Mechner and a host of talented developers and producers (including current Ubisoft Montreal CEO Yannis Mallat), Désilets helped guide the classic franchise's transition from its 2D platforming roots to a full-blown 3D action/adventure game. The results were stunning, setting a new bar for the genre thanks to its best-in-class fighting, time-rewind mechanic, and movement animations. Sands of Time earned a 92 Metacritic rating, re-establishing the brand for a run of high-profile sequels, plus a film spin-off starring Jake Gyllenhaal. Given his success, Ubisoft tasked Dési lets and an all-star team of developers with transitioning Prince of Persia to the Xbox 360 generation of consoles. Over the course of conception, the project evolved in an unexpected direction that left the prince behind. The new pitch was a fast-moving parkour game with an assassin motif, a new historical setting rarely seen in video games, and a sci-fi wrapping that chronicled the historical battle between two opposing clandestine factions. Assassin's Creed debuted to great enthusiasm and strong sales. Ubisoft greenlit a sequel immediately, and Désilets' team blew the doors off the industry with the next game. With Assassin's Creed II, Désilets once again cracked the vaunted 90 threshold on Metacritic, and set the momentum for a billion-dollar franchise that now spawns yearly sequels and has amassed more than 93 million lifetime sales. 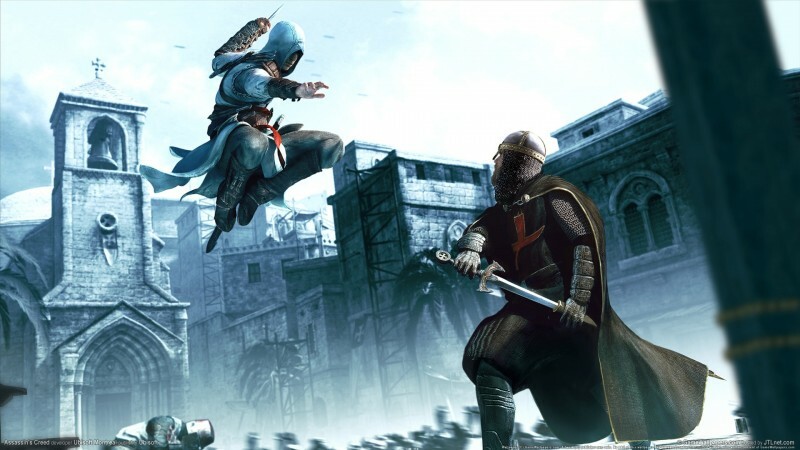 As Désilets started conceptualizing the next game in the series, Brotherhood, internal discussions brought up the idea of placing him in new role that would name him the creative director of the overall Assassin's Creed brand. Désilets asked for more creative autonomy and economic incentive, which Ubisoft rejected. In May of 2010, he resigned from Ubisoft. "I'd been working there 13 years in a row," Désilets says. "Every single morning and night. I was there since day one of Ubisoft Montreal, when I was 23. When I woke up at 36, I was like, 'Okay I'm not happy.'" The realization sank in shortly after the birth of his second daughter. "Three days after Penelope's birth, I was back at work doing a blueprint of Brotherhood," Désilets says. "Four months after that I realized I had a second daughter I didn't know at all. It's funny, because I still feel like there is this gap between Penelope and I." For a year after his departure, Désilets reconnected with his family, traveled around the world, and reflected on his next career move. Before leaving for vacation, he signed on with Creative Artists Agency's Ophir Lupu (who now works for United Talent Agency). Lupu has built a reputation for getting new deals for high-profile talent in the interactive entertainment space, having negotiated for BioShock creator Ken Levine and Respawn Entertainment's Vince Zampella after he and fellow Infinity Ward founder Jason West were fired from Activision following the release of Call of Duty: Modern Warfare 2. Désilets asked him to test the waters and see what kind of opportunities would be available after his sabbatical. He had only a few qualifications that needed to be met to consider an offer: He wanted creative autonomy over his next project without having to go independent, and he didn't want to be an employee in the traditional sense. Lupu landed him a sweetheart deal with a publisher that appeared to have brighter days ahead. 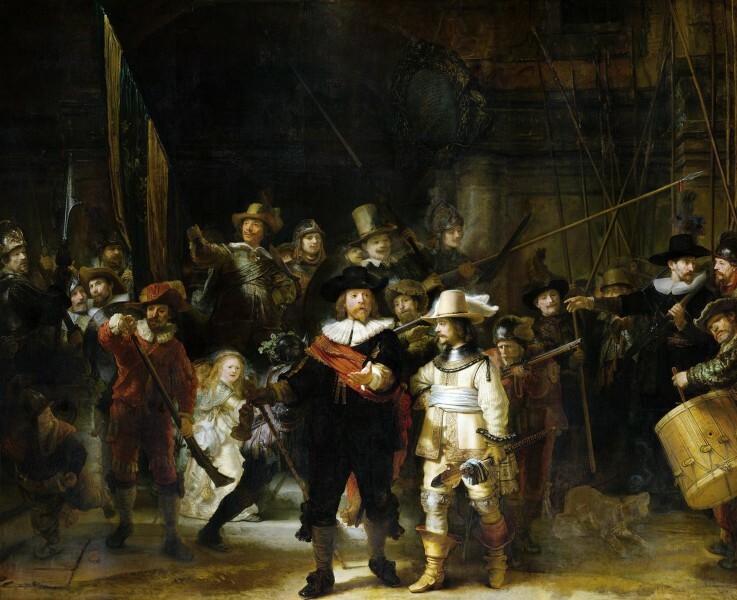 When conceptualizing 1666: Amsterdam, Désilets used paintings like Rembrandt's "Night Watch" to inspire the game's visual style. When Désilets signed on with THQ in 2011, executive vice president Danny Bilson was in the process of amassing a slate of new titles aimed at transitioning the company from an overreliance on licensed children games to a stable lineup of franchises the company could control. The projects in development at that time included Turtle Rock's new asymmetrical multiplayer game, Evolve; a horror game called Insane being developed by Volition in collaboration with filmmaker Guillermo Del Toro; the Devil's Third, a still-unreleased action game helmed by Ninja Gaiden developer Tomonobu Itagaki; and South Park: The Stick of Truth, which Obsidian was developing alongside television series creators Trey Parker and Matt Stone. The contract Bilson offered Désilets gave him all the incentive in the world to deliver a hit game. Should Désilets meet a certain sales threshold for any of the three games outlined in the deal, he would be given the opportunity to negotiate for total control of his studio and become fully independent. But before he could get his project off the ground at the Montreal-based studio, he and THQ hit a roadblock. After Désilets left Ubisoft, Assassin's Creed artistic director Alex Drouin, production manager Mark Besner, and associate producer Jean-François Boivin all resigned from the company, citing various reasons like the wish to spend more time with family. The departures piqued Ubisoft's interest considering that all three held Montreal Canadiens season tickets with Désilets. In July of 2011, a court awarded Ubisoft an injunction against THQ claiming the company should have to abide by the non-solicit clause in Ubisoft contracts, effectively blocking THQ from poaching talent. Later that year, a Quebec court of appeals overturned the decision, saying THQ was not bound by any non-competition restrictions. With the legal hurdle cleared, THQ Montreal began working in earnest on Désilets' new creative vision, which he came up with during his sabbatical. While on a vacation in Amsterdam, his girlfriend Emily mentioned what a wonderful setting the city would be for a video game, filled with canals, walking paths, and impressive architecture. One of the buildings they passed had the number 1666 engraved on it. Désilets decided this would be the perfect open-world setting for his next third-person action/adventure project. For years, these games have been governed primarily by combat. Désilets wanted 1666 to push beyond those boundaries while exploring the role of the devil in society. The team began prototyping ways to create meaningful and engaging gameplay without continually falling back on sword fights and fisticuffs. Development hit an unexpected snag when THQ started shuffling internal projects. The publisher shifted the Homefront sequel to Crytek UK and transitioned the Montreal-based staff that was working on the game to 1666, which was still in the conception phase (when you just need a handful of key thinkers). Suddenly, a staff of 40 that was intended to work on a first-person shooter was expected to form the backbone of a staff meant to create an open-world, third-person action/adventure game. "Conception is looking at mud, and some people are not used to that," Désilets says. "They're more comfortable at the end when the mud is done and they are given Lego blocks and told to build. I had a bunch of people like that, so they didn't understand. As soon as you tell people in the game industry it's not about killing people, they're like, 'What are you going to do?' A lot of other stuff. So people were stressing, where I wasn't. I was like, 'Just let me do my game.'" Hiring additional high-end talent more suited to the project proved difficult when THQ's financial pillars started crumbling. Games like uDraw and Red Faction: Armageddon were failing, and the titles at the center of Bilson's new creative vision were still far from release, leaving the company with nothing to stand on. This turmoil weighed heavily on the staff. "I remember one morning one guy came and said, 'I don't sleep at night. I'm afraid of losing my job, so I'm leaving.'" Désilets recalls. That employee's sense of dread proved to be warranted; THQ filed for bankruptcy in December 2012 with the intent of selling all its assets to Clearlake Capital Group, essentially making THQ a private company. The board of directors opted to replace Bilson with Naughty Dog founder Jason Rubin to guide the transition. Morale in the office was low, but THQ Montreal continued to chip away at 1666. Désilets felt the game was far enough along that he put together a demo intended for show at E3 2012. Called the Brel E3 Demo (named after the famous Belgian singer-songwriter Jacques Brel), the teaser gave a tour of the open world while Brel's 1964 song "Amsterdam" played. To Désilets, the trailer had one big kicker: Despite its polished look, it wasn't a CGI video – it was an in-engine video of somebody playing the game. Désilets says Rubin asked him not to show it. "He didn't want me to show it because it would create some noise, and people would be more excited about 1666 than the game that [THQ] needed to ship that year to keep the company afloat - which didn't work," Désilets says. The 1666 team continued to work on the game throughout the year as the fate of THQ started to look bleak. The company's prospects deteriorated as the year went on, and the death knell sounded when creditors balked at the plan to privatize. In early 2013, a judge ordered THQ to auction off its properties. "It's a personal belief, but I think THQ went under because there was nothing else in the future," Désilets says. "There was no dream about THQ. I was a part of the dream and never had a chance to show people what we were working on." 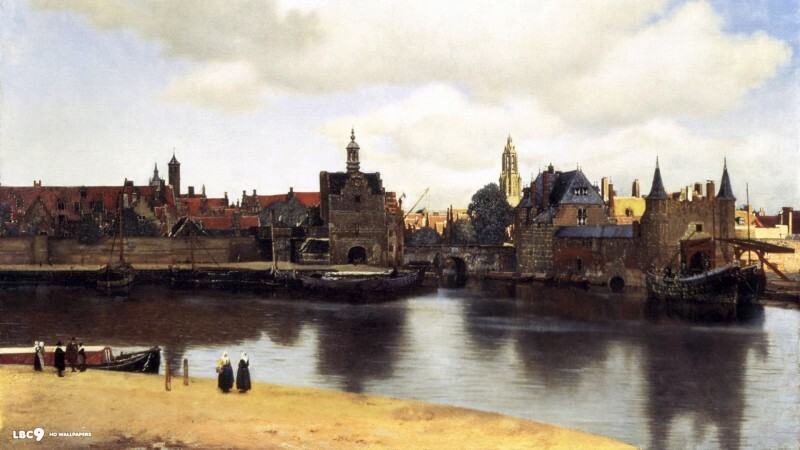 Vermeer's "View of the Delft" gives you a good idea of what a 17th century Dutch open world would look like. When the auctions started, rival publishers had a chance to pick at THQ's carcass and bid on worthwhile projects. During this process, the potential buyers were invited to come in and see 1666 in its current state. Electronic Arts, Warner Bros., Clearlake Capital, and Ubisoft all scheduled meetings. When it came time to meet with his former employers, Désilets found himself sitting across from familiar faces in Ubisoft Montreal CEO Yannis Mallat and chief creative officer Serge Hascoet. "We spent like two hours in the meeting," Désilets recalls. "We pitched the entire game design, the tech, and showed our E3 demo." Patrice asked them if they liked it and they told him they did. Before they left, Désilets remembers telling them "Now it's on your side of things," to which they replied "Don't worry, we did our homework." Ubisoft acquired the shares of THQ Montreal for $2.5 million on January 23, 2013. The deal gave them control of the studio, the employees, and 1666: Amsterdam. The press immediately started to wonder if Désilets would stick around, considering the history. Ubisoft was non-committal. "It's too soon to say for certain [if Désilets is returning], but we are very excited about THQ Montreal becoming part Ubisoft," a Ubisoft representative told Polygon at the time. "In the coming weeks we'll be looking at how to offer an organizational structure that provides continuity for the creative teams involved." The first Ubisoft employee who reached out to Désilets after the acquisition was Hascoet, who informed him Mallat wanted to have dinner with him. Désilets recalls that dinner having an air of happiness regarding their reunion, but both sides were curious about how they would work together now. Ubisoft inherited his contract, which was unique compared to those of the other creative directors at Ubisoft – and in the industry as a whole. Mallat brought up the possibility of renegotiating the contract, and Désilets expressed his wishes to have his agent handle any of these discussions. "I always said this to Yannis – 'We'll have four, five, ten, fifteen years ahead of us after all this business stuff is done and we can work as adults to make amazing games together," Désilets recalls. Negotiations continued from the end of this meeting through May 7 with no substantial progress. In March, Ubisoft introduced a new wrinkle in the negotiations when its lawyer mentioned the company could terminate Désilets for cause thanks to a clause in his original THQ contract that required him to deliver an "acceptable prototype" of 1666 on or before July 30, 2012. This threat seemed strange to Désilets considering that deadline expired roughly six months before Ubisoft acquired the studio. As far as Désilets was concerned, that prototype was delivered before the July 30 due date in the form of the Brel E3 Demo intended to be shown at E3. "For Assassin's Creed, at the end of conception I had a movie," Désilets says. "At the end of 1666's conception, I had a video of someone playing in an engine. With everything I know about making video games – and I think I know a little something about making video games – that was an acceptable prototype. THQ never mentioned it wasn't. [Ubisoft] waits one year after and tells me it's now unacceptable. Why buy it in the first place?" When evidence started to build that Ubisoft wouldn't back down from this threat to terminate, Désilets sat down with his lawyers for a meeting to discuss how they would proceed if this happened. "They said, 'Are you ready?'" Désilets remembers. "'[A lawsuit] is going to be costly and long. Not only on the money side of things – psychologically it's going to be tough. Are you sure you want to do it?' I took the night, thought about it, had a discussion with my girlfriend, who is also the mother of my two daughters. I said, 'How do I want to move forward in my life? Let's forget the career part of things. Do I want to be the guy who bent over or not?' That's the issue for me. I'm not bending over. Sorry. I'm not being bullied; I'm going to fight, and we'll see how it goes." As the negotiations unfolded, game development continued. Désilets' team expected an appointment to be scheduled so he could put together the materials for a formal kickoff meeting with Ubisoft, showing them the current state of 1666. Typically, these meetings are held in Paris. For new projects at Ubisoft, the creative leads pitch the full game concept to the editorial department, a process that can sometimes take a day. This type of meeting never took place. Boivin says he invited multiple Ubisoft employees on multiple occasions to come on the floor and spend a day with 1666, and he never received a response. "To me it was quite clear that eventually we would sit down with members of the team, the other leaders, and go through the actual game just like the editorial meeting Ubisoft does with every other game," Désilets says. "I remember asking Yannis, 'Can we have a kickoff meeting even though we were a little beyond that kickoff-meeting point?' He said, 'Yeah, [Ubisoft CEO Yves Guillemot] is coming.'" Désilets says Guillemot's schedule was packed and he had a plane to catch that evening, so they only had two hours to show the progress they were making with 1666. They threw together a summary outlining the story, gameplay elements, and art. The presentation included the Brel E3 Demo and multiple concept videos, culminating with a playable version of the game in its current status that Mallat played for a couple of minutes. Following the demo, Désilets had a brief one-on-one with Guillemot. "He told me that he wanted to make the game, but it will cost a lot, so how can I control you?" Désilets recalls. "I said, 'Yves, we have a contract, but it's not that difficult. You call me – this is how we control now. We talk. I'm reachable, and we can have a discussion together. A month after that I was fired." From here things got messy. Ubisoft issued a public statement saying Désilets had left the studio, to which he fired back his own statement saying he was terminated by Ubisoft without merit and he planned to fight for his team and his game. On an earnings call later in the year, Guillemot elaborated on Ubisoft's decision to part ways, saying "After more than two months of discussions with [Désilets], we couldn't align our vision both on project development and team management, so consequently our collaboration has ended, and we have suspended 1666 for an undisclosed period of time." Guillemot further elaborated Ubisoft's position in an interview with GameTrailers. "What's very important when you create a game, it has to be done with a team, and you have to make sure that there's a good balance between graphics and gameplay," he said. "We couldn't find that in this occasion. So, when you put $100 million on a game, you have to make sure the end product will really be up to the level of quality on all the aspects. I thought we would be able to convince Patrice to change his contract so that we could work together more closely, and we couldn't make it. You know, he was in breach with his game because he didn't deliver the milestone that he was supposed to bring, and so we tried hard to solve the problem so that we could see if [it could cure the breach]." 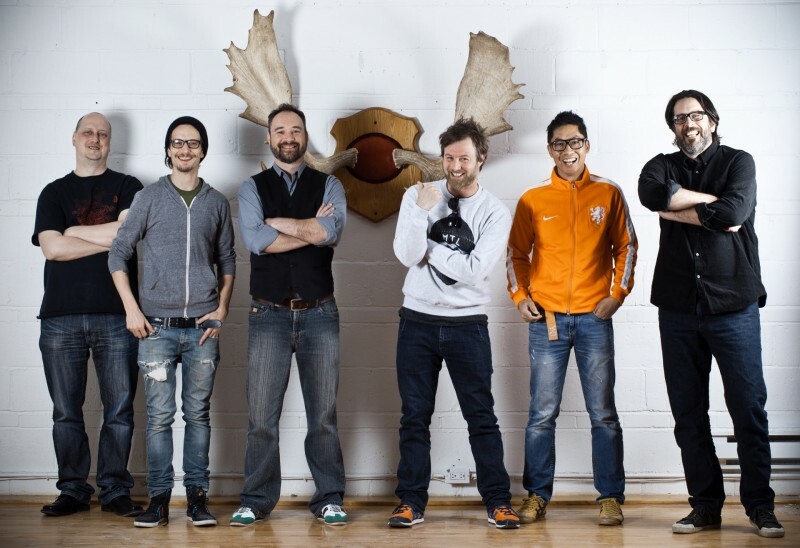 Some members of the 1666 team were integrated into the various projects in production at Ubisoft Montreal. Others, like J.F. Boivin, were let go. "J.F. got fired because he was a good friend of mine, basically," Désilets says. "They said they don't have any work for him as a producer, while on the Ubisoft web page they were looking for producers." Désilets filed a lawsuit shortly thereafter, seeking more than $300,000 in compensatory damages and the turnaround rights to 1666: Amsterdam. "Patrice is an artistic talent, and we're thankful for everything he brought to Ubisoft during his time with us. We are a company that strives to attract and retain the best talent in the industry, and to build teams that develop new and innovative games. That's why it was unfortunate we were not able to reach an agreement with Patrice to continue working with us two years ago, and why it is disappointing that he chose baseless litigation instead of an open discussion on how best to develop the 1666 concept into a viable game. While we wish Patrice success on his new venture, we are fully focused on supporting the teams, including the many people who joined Ubisoft from THQ Montreal, who are creating Ubisoft's next great games for our players." This statement doesn't serve to counter the allegations Dési lets levies, but the company's legal response to the lawsuit gives us a clearer picture of its perceived justification for terminating his contract. While Ubisoft was considering whether or not to bid on THQ Montreal during the auction, its representatives had several discussions with THQ executives. During these talks it found out that 1666 had encountered multiple delays. According to the court filings, it also learned that the project had burned through $10 million of its proposed $35 million budget, arguing, "despite the large sums he had so far spent, the stage of development was very weak, and he had still not delivered a prototype of 1666: Amsterdam." Désilets disputes this figure, saying they spent $7 million at maximum. Ubisoft says it still proceeded with the acquisition because it wanted to acquire the 170 trained designers at the studio to strengthen its workforce and it was "excited by the idea of working with the plaintiff again, considering the great success they achieved together in the past." To justify its decision to terminate Désilets, Ubisoft outlines the milestone-based production methodology widely used throughout the industry. They argue that at THQ a game needed to pass through three "gates" before it's considered an acceptable prototype, and that despite more than two years of work 1666 never reached the second gate. To Ubisoft, this is clear ground for dismissal, despite the fact that the deadline for Désilets to deliver this prototype had passed six months before Ubisoft acquired the game and THQ never pursued this course of action. After several months of contract renegotiations aimed at reining in the project and mitigating risk, Ubisoft felt justified in its decision to enact the acceptable prototype clause in the contract to dismiss Désilets. Additional reporting for this article was provided by Elise Favis. 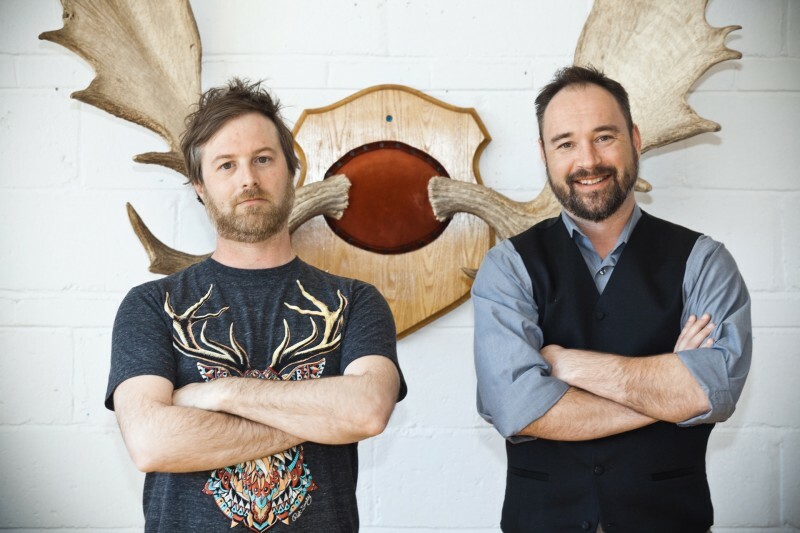 ​​​​​​​Longtime friends Patrice Désilets and Jean-François Boivin started Panache Digital Games. In the year following this messy split and the implosion of his passion project, Désilets didn't do much. Not that he had a choice; despite being fired, Ubisoft expected him to abide by a non-compete clause for another year, which limited his career options. He spoke at a conference in Barcelona and visited Sweden to consult on Mad Max for Warner Bros. and Avalanche. But his thoughts naturally kept returning to 1666. "It was tough," Désilets says. "I put my heart and soul for two years on this project. I think about what I'm doing and what I'm putting out there. 1666 was my game about the devil. It was a subject matter I wanted to talk about. [After Ubisoft fired me] it was like, 'Okay what do we do now?' That's why I want it back. That's my subject. I'm not going to talk about the devil in a different game. It was pretty tough. I would say I'm still coming out of it a little bit." Both Désilets and Boivin have essentially lived off of savings for good part of the last 18 months. "It's hard – what can you say?" Boivin says. "You have to make adjustments, but I think any entrepreneur that's doing a startup in something they believe in, money can become secondary as long as your family can be fed three times a day and your bills are paid. But you have to cut a couple of places." I ask Désilets if he ever considered walking away from game development altogether, but he shakes his head. "For me, making games is not a job – it's me," he says. "It's the art that chose me, which I'm good at. I want to continue making games and I want to make sure video games are getting better and having a better place in our society. "When his non-compete clause expired on May 8, 2014, Désilets started to feel less radioactive. Getting another contract like his THQ deal wasn't likely, but he and Boivin took some meetings with publishers and almost signed a deal. When nothing seemed like the right fit, they explored other options and eventually gathered a group of familiar faces to form Panache Digital. After hearing both sides of this legal argument between Patrice Désilets and Ubisoft, we wondered who has the best shot of winning should it go to trial. To gain some perspective from an impartial legal analyst, we spoke with McGill University professor Richard Gold, who specializes in intellectual property. "It seems like a fight of someone trying to renegotiate a better deal," he says. "Ubisoft comes in and doesn't like the deal with THQ, thinks it can do better, and played high-stakes poker by negotiating and threatening him. He didn't give in, so at some point they had to carry through with their threat, and here we are two years later and no one has anything to show for it." Gold feels there are arguments for both sides. "Given the course of conduct between THQ and Patrice, and given the delay in invoking the clause, it certainly seems to be arguable that they can't enforce it," he says. "There are arguments that Ubisoft should win, too – [if it can prove] he did miss the deadline. They could say that the delays [of invoking the termination clause] were because they were trying in good faith to come up with a solution. Both sides face considerable uncertainty here." But in the end, Gold speculates that no one may walk away feeling like a winner. "Everybody is losing, and the longer the wait, the less value  has because technology changes," he says. "I would think a rational act on both sides would be to negotiate, because you are dragging it out to a point where it has no value and everybody loses everything." Should Désilets eventually win, however, he could see himself returning to the project despite his current commitment to developing Ancestors. "Since it's all about rights, I don't care if it takes 18 years," he says. "I'll be freaking old, but maybe I'll do the game anyhow. [My daughter] Alice understands 1666 is a special game – it's the game of the crow, and she knows that somebody else took away the game of the crow. 'Papa, will I be able to play the crow game?' Nope. Maybe she'll be 18 when this is all over with and she'll be able to play it." Sitting in Patrice Désilets' sunny Montreal loft, which is still serving as Panache's makeshift office while they finalize financing and shop for studio space, the contrast between this grassroots work environment and the bustling hive across the city at Ubisoft Montreal's headquarters couldn't be more stark. Instead of being tucked into a small conference room surrounded by hundreds of creators diligently chipping away at the latest blockbuster, I'm sitting around the dining-room table with J.F. Boivin and Panache marketing and management collaborator Jean-François Mailloux. I watch Désilets greet his girlfriend and two daughters, who have just returned home from school. The team hopes this familial vibe won't change after they move into their new offices. After working the long hours that are frequently demanded (or self-imposed) at the big studios, Désilets says one of the goals with Panache is to do a better job of protecting the work/life balance so many other career fields enjoy but seems ever-elusive in game development. The studio doesn't want to keep time sheets to make staffers feel guilty about going to a dentist appointment or leaving work early to pick up their kids from school. They are encouraging the opposite. "For me, it's including my family in our adventures," Boivin says. "I love the idea of having my kid and my wife come over on a Saturday afternoon and putz around the studio and be a part of the experience." This is just one of many ways Panache wants to distinguish itself from The Way Things Were Before. Their goal isn't to grow into a publishing empire to rival Ubisoft. Instead, they intend to form a small-to-midsize team of fewer than 100 experienced developers. Chaos is inevitably a part of the equation when going indie, and the team is okay with that. "It's the beauty of being small, and we want to keep it like that," Désilets says. "In an organization, chaos is part of the beauty. All organizations eventually get scared of the chaos and then say, 'We need order.' That's where HR kicks in and they say, 'Now everyone needs to be in their square, because we cannot cope with chaos.' I believe that good people can cope with chaos. Let's get the best people and say 'In the next six weeks this is what we expect from you, but this is also what you said you could do. So how you do it, I don't mind.'" This loose structure sounds dangerous in a field dominated by aggressive timetables where any development setback could send a project spiraling out of control. But when a team stays small, it has a lot less to wrangle. Panache hopes to find this equilibrium. When starting an indie studio, outside voices will try to convince you that a million warring philosophies are the only paths that lead to success. The game has to be free-to-play, mobile, PC, crowd-funded, or focused on virtual reality. Désilets and Boivin have heard all the arguments and considered all the options. In the end, they decided not to bother trying to predict the future and instead do what they know. "When I started at Ubisoft in 1997, Google didn't exist, Facebook didn't exist, and almost nobody was walking around with cell phones," Désilets says. "So what's the future?" For Panache, their vision of the future is to make small er games with triple-A quality, second-to-second experiences. With Panache's first title, Désilets very much has his legacy in mind. But he is also keenly aware of his newfound limitations. "Being creative, being a designer alone is not the ideal position to be independent," Désilets admits. "But in my own experience, what I have now is what I had at the beginning of Sands of Time. It's what I had at the beginning of AC 1 or even AC 2. [Conceptualization] is what I do." The concept? Ancestors: The Humankind Odyssey is an episodic, open-world action/adventure title where the central character isn't one person from a particular time or place. Instead, the episodes jump throughout history to chronicle the make-or-break moments where, in Panache's words, "our civilization is one crucial moment between extinction...or evolution." Panache has more than 20 historical instances in mind that would make ripe scenarios for this project – the domestication of animals, creating the first tools, the discovery of penicillin, and putting a man on the moon, among others. Notice one commonality in these scenarios that betrays conventional game design: the lack of violence. Ancestors won't actively avoid wars and genocide of years past, but Désilets wants to go beyond the bloodshed. That starts with our oldest ancestor of all, the caveman. "Our ancestors back then weren't that violent," Désilets says. "They weren't fighting each other. Cooperation and compassion are really part of the reason why we survived...There's no evidence of war before the invention of agriculture on this planet. That doesn't mean they didn't exist, but we've never found any evidence of it. There's not a lot of human beings on the planet, and once you first come across one, your first thought is not of killing them. It's like, 'Holy s--- - there's somebody else! Let's try to help each other to survive because there's not a lot of food and there's a lot of beasts out there.'" These are the types of new experiences Panache hopes to deliver with Ancestors. But not many players can envision what kinds of activities they would be doing without violence as their primary tool. How do you make the mundane meaningful? That's the million-dollar question Panache hopes to answer. "You need to focus on the tech and how you can get there," Désilets says. "Even with 1666, I was wondering how to build more believable characters. Once I have that, then I can talk about other subject matter and attract other people...But how do you do it as an indie developer now? When you have millions of dollars, you can put people on it and find it. But how do you do it now? We need those Lego blocks." The biggest Lego block in the puzzle is creating what Désilets likes to call their "Tom Cruise" – a character versatile enough to be a stylish action hero in one instance and deliver an emotional performance while sitting in a wheelchair in the next. "We need that character to be able to interact with the environment in a way you've never seen before in a video game," Désilets says. "Ideally, you have to imagine this character, this homonid in a jungle with his tribe, and you just interact with the game world and you're like, 'Holy s---.' That's the goal. You could feel and actually sense that this is the next step of the third-person evolution. "If you look around, we're still playing the core mechanics of what Grand Theft Auto and Sucker Punch have been doing, but roughly it's still the same thing. Where is the next step? Just like we had when we saw GTA IV and we saw Assassin's Creed and we said, 'Holy cow, I didn't know this was possible.' I believe that, in video games, technological marvels are one of the reasons why we play...sometimes we forget it's really important that we go, 'Wow.'" Many episodic games are hitting the market in the wake created by Telltale's The Walking Dead, but since the vast majority of these are story-based experiences, they lack replayability. This gives players several opportunities to jump off the bandwagon, something Panache hopes to avoid. Its vision? A story-heavy game where the player is left in a persistent open world after completing the narrative. "We're not reinventing any wheels here," Désilets says. "It's an episodic, narrative-driven game where we leave you there with the toy in between episodes." If your goal as a caveman is to harness the power of fire, once you meet that objective you are left in an open world to experiment with that fire, try to survive, and pass your knowledge along to your progeny. Désilets then gives me a deeper glimpse at how he sees this coming together. "You'll have the sequence of the amazing, huge bush fire that you have to flee with your family, and the only way to survive eventually is to turn around and use this fire," he says. "You go back to your tribe and build a fire, and then it's systemic. After this it's your adventure until I come back and say, 'There's a new adventure for you.' 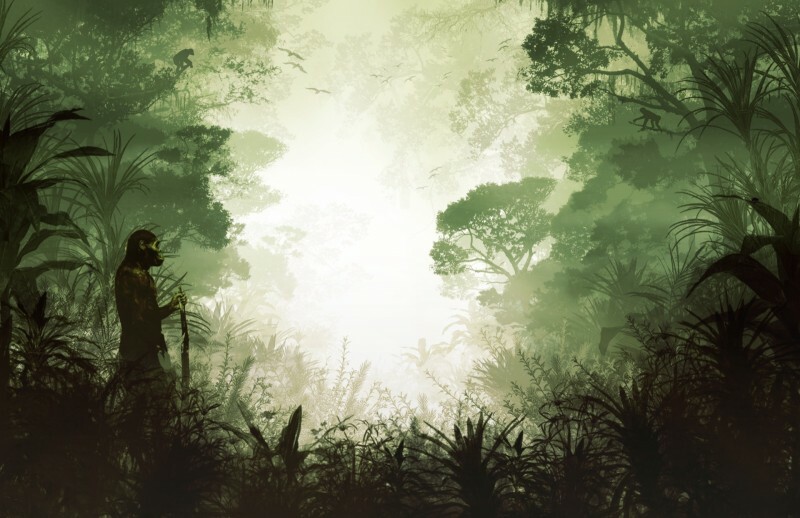 You could call it a mission or a level – we still haven't decided what to call it – but each time we introduce a new feature that is laid with the story of humankind...We're putting a lot of Hollywood stuff in, and then we leave you with a systemic, persistent open world where it becomes Day Z or Minecraft. But instead of blocky, it's triple-A quality environments in this bubble." Right now Ancestors is envisioned as a single-player game, but the episodic format gives the studio the latitude to adopt multiplayer elements should the scenario demand it. To keep the narrative intact, a meta-story follows a thread that runs through entire experience. The game will likely debut on PC, but the team knows if it wants to create a brand they'll need to be on every major platform at the end of the day. Interactive entertainment is already a $75 billion industry, but the medium is still largely in its infancy. Millions of people throughout the world wouldn't know what to do if you put a game controller in their hands, and the power-fantasy-driven content doesn't always appeal to them. Patrice Désilets sees this not as a shortcoming, but an opportunity. "I believe video games are not there yet," he says. "We feel like Grand Theft Auto is big. GTA is nothing compared to Titanic, where a billion and a half people saw that movie. How come so many people watched that movie? Because interactivity can scare off a lot of people — but also because of the subject matter. "We can't have the same subject matter in movies in video games because of the nature of the medium. We ask a lot from the machines, and it's tough to portray subtleties with those machines. But the subject matter comes from the human condition — that interests a lot of people. The subtleties cannot be portrayed well in games yet, so we're stuck with some subject matter. The goal is to someday build the Titanic for games. For that you need characters that are not assassins...It's all about trying to come up with subject matters that are more than 'I'm shooting stuff, but I have emotion' that I feel video games are stuck in." Panache is happy with the rough sketch for Ancestors, but now comes the hardest part: execution. The studio currently employs producers and artists, but it's lacking the quintessential ingredient that brings all good game ideas to life: programmers. The game is still early in conception, but before it moves into production, Panache will need to enlist a team of coders talented enough to make Désilets' vision a reality. This is something THQ Montreal was unable to achieve with 1666: Amsterdam given the uneasiness potential hires had about working for a company that seemed destined for bankruptcy. "That's one of the challenges we have - raising enough money to get the good people," Boivin says. "We have overarching philosophies of how we want to run the company and who we want to work with as well, and some of the values that we share, Patrice and I, one of them includes paying people at their just value. That's something that's going to help us get the right people in place." In the weeks after I visited Montreal, Panache secured enough funding to get the project on this trajectory and open its official studio. Now it needs to build this ambitious idea. The artists are working on the visual bible, which they expect to be done soon, and once the staff is in place, Panache expects to have something ready in 18 months. At that point, gamers will finally get to play a new game created by Patrice Désilets, something no one has been able to say since 2009. Désilets has big expectations for Ancestors. "It's cool to build original stuff, but at the end of the day, if you don't sell, what's the point?" Désilets says. "You need people to come to your show. That's why we have a plan." Where his career goes from there, we don't know. Maybe he wins his lawsuit and resurrects 1666. Maybe Ancestors continues to be the centerpiece of his creative output for the next several years. Perhaps he rotates to one of the more than 15 other ideas for new IP the studio has percolating. Whatever the outcome, Désilets holds the creative flame in his hand, and his actions will dictate how far that fire spreads. That's all he ever wanted since the moment he originally left Ubisoft.